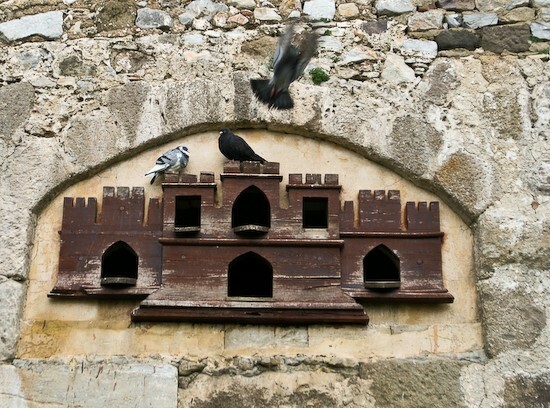 The second gate into Topkapi Palace. Today it is the main admission gate into the museum. 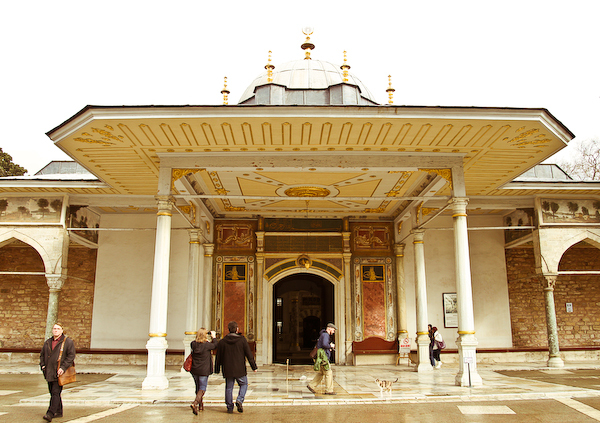 Topkapi Palace located in Istanbul, was the headquarters for the Ottamen Empire for more then 400 years. Today it is a museum. 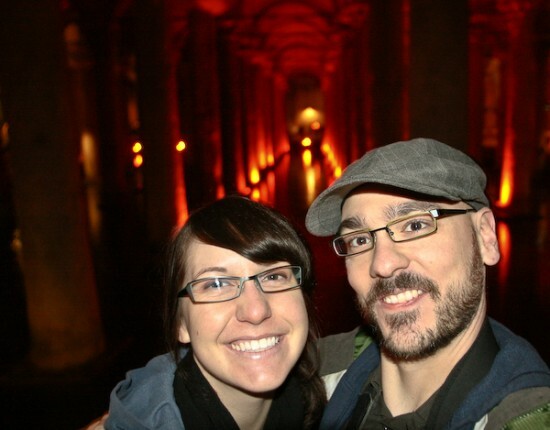 When we went it cost 20 Turkish Lira per person, and if we wanted to go into the Harem it would cost an additional 15 Turkish Lira per person. 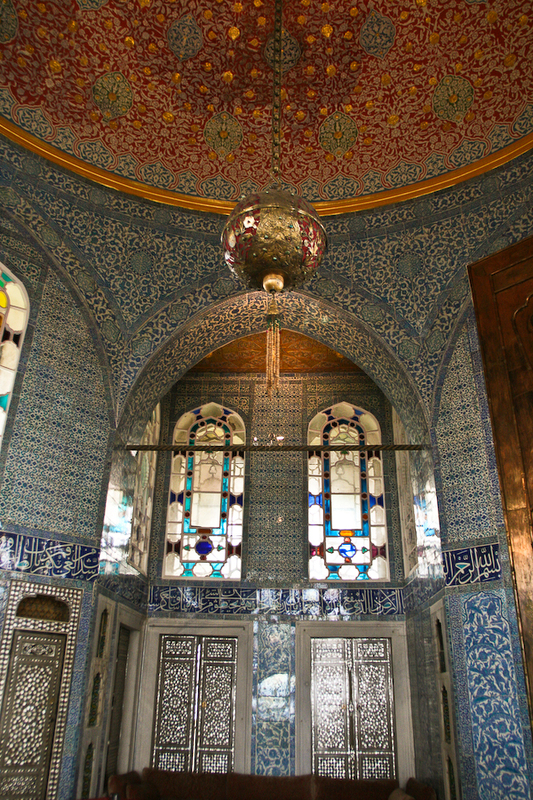 The ticket for entering the Harem has to be bought once you are inside the Topkapi Palace. 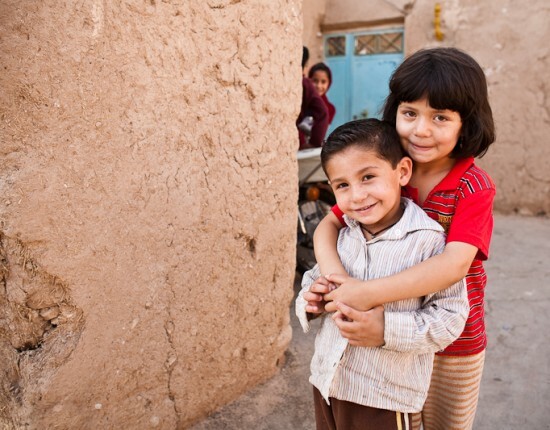 The palace is constructed around a series of courtyards, all of which are very beautiful and peaceful. The first courtyard is free of charge. In Ottoman days this courtyard was open to all, but in order to walk through the gate into the second courtyard you had to be some sort of dignitary (see the photo above of the second gate). Only the sultan and his family could enter this gate. 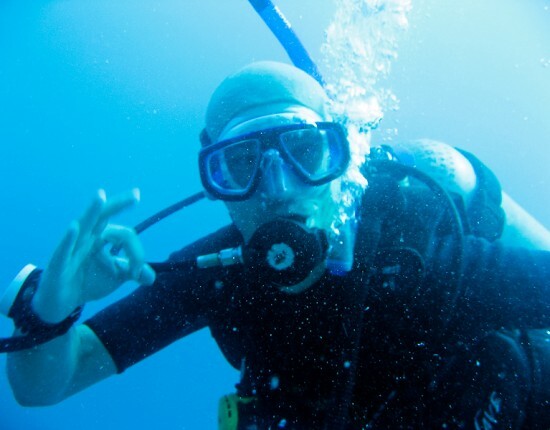 Through it were the private (i.e. circumcision room) and residential areas of the palace. 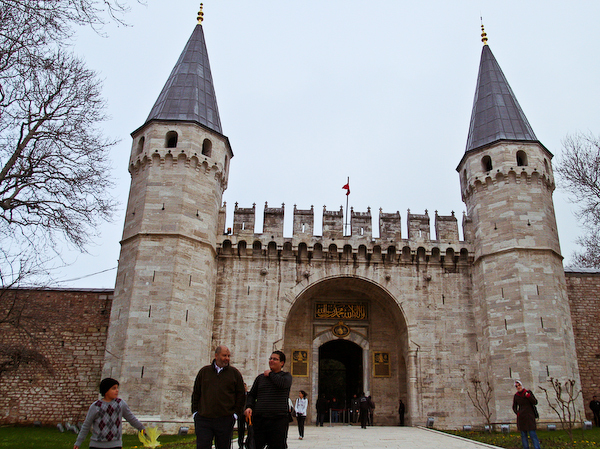 The gate was used for special ceremonies, accession and to perform the funeral service of the sultan. Today tourists flock through it and attempt to take photos of kittens in front of it, like our infamous Chris, center stage. Within this courtyard for dignitaries and officials is the courtroom where the men took care of the Empires official matters. Apparently the sultan use to sit behind a mesh screen and listen to the discussions and debates, pretending as if he was a fly on the wall and no one knew of his presence. However, it was known for him to sometimes speak up and completely overrule the decision of all those in the room. I found it quite comical to imagine it happening. 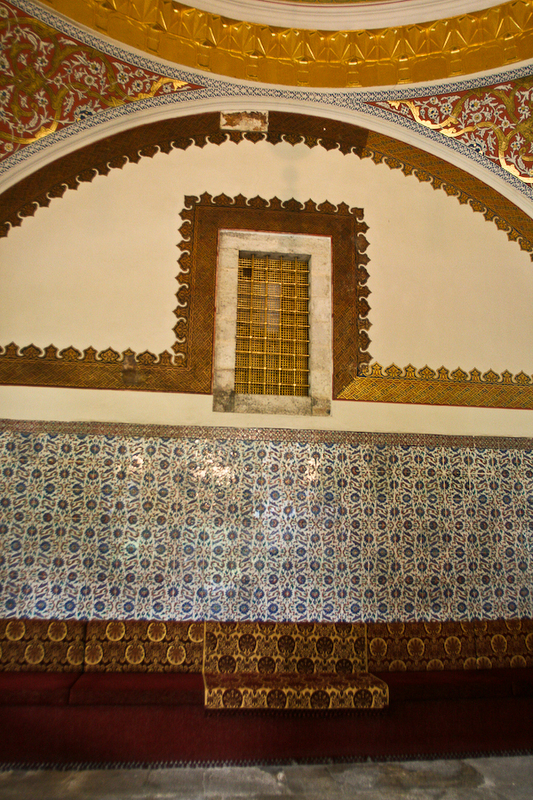 The gold, mesh rectangle in the center of this photo is the screen behind which the sultan would secretly listen to the discussions and debates of the Ottoman Empires officials. 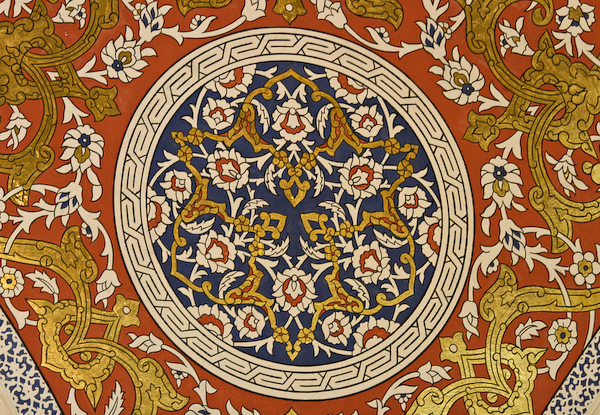 a One of the many detailed designs found on the ceiling of a room in Topkapi Palace. 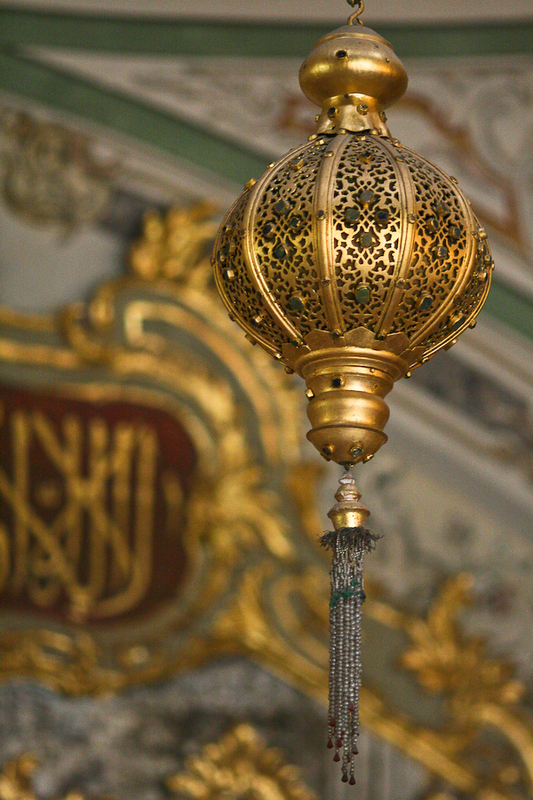 The attention to detail in Topkapi Palace is remarkable. This is the interior of a building called the Baghdad Kiosk, located in the residential area of the sultan. 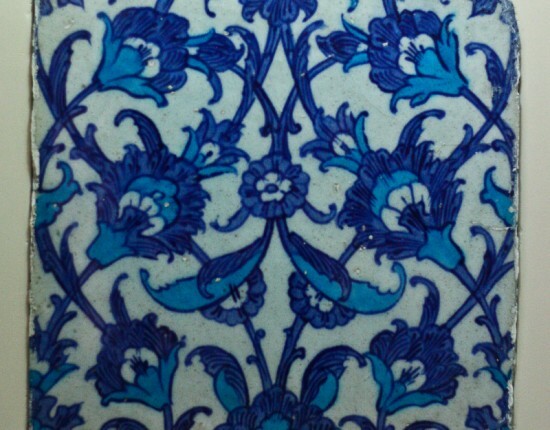 It is an excellent example of the famous blue Iznik tiles and mother-of-pearl inlay found throughout Ottoman architecture in Turkey. The most magnificent things housed in Topkapi Palace are the jewels, like the worlds fifth largest diamond which was originally traded for three spoons giving it the nickname, Spoonmaker’s Diamond. The collection also has some of the worlds largest and most pristine emeralds found on the Topkapi Dagger which had a movie (1964) made about it called, Topkapi. But, as you can imagine, we were not aloud to take photos of such precious items.